Dr. Kavi Sagunarthy moved to Fort Mill from upstate NY to be closer to family after several years in private practice. A graduate from The George Washington University in Washington, DC he went on to receive his Doctorate in Dental Surgery from the University of Buffalo’s School of Dental Medicine in Buffalo, NY*. Dr. Sagunarthy then went on to complete a General Practice Residency at Montefiore Medical Center in New York City. Under the instruction of top faculty members of all dental specialties, he has grown proficient in providing quality dental care to his patients. His enthusiasm for the profession has led him to actively participate in Continuing Dental Education courses and he is pursuing a Fellowship in the Academy of General Dentistry. He is also a member of the American Academy of Cosmetic Dentistry and participates in their Annual Scientific Program. As the recipient of the International Congress of Oral Implantologists Award in 2007, Dr. Sagunarthy has always remained on the cutting edge of implant dentistry training. Dr. Sagunarthy served as a clinical faculty member for post-graduate residents at Lutheran Medical Center’s Advanced Education in General Dentistry program in Latham, NY. He maintains an active discourse with his professional colleagues and the residents he helped train in order to always stay current with evidence-based dentistry. 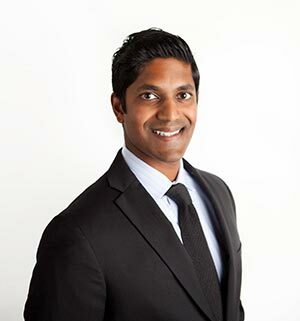 Dr. Sagunarthy currently serves on the clinical faculty for the Advanced Education in General Dentistry Residency program at the Medical University of South Carolina. With a strong passion for helping people, Dr. Sagunarthy enjoys volunteering his time to provide dentistry to those who have difficulty obtaining dental care. From charity dental missions in developing countries to spending days at a volunteer clinic in Atlanta, he has found some of his most rewarding moments as a dentist have come when he can brighten the smiles of those in need. When he’s not helping his patients Dr. Sagunarthy enjoys staying active with golf, tennis, and running. He enjoys traveling and spending time with friends and family. We invite you to visit our brand new state of the art Fort Mill dentist office to meet Dr. Sagunarthy and our staff. From the moment you walk in the door you will be at ease in a calming, friendly and professional environment. Dr. Sagunarthy with his warmth and dedication hopes to build a long and lasting relationship with his patient family! *The University at Buffalo School of Dental Medicine was ranked No. 10 among dental schools in the United States and No. 11 among dental schools worldwide in the 2017 global rankings of the Academic Ranking of World Universities (ARWU). Dr. Shirk moved to Charlotte after three years of private practice in Myrtle Beach, SC. A native of central Pennsylvania, Dr. Shirk attained a Bachelor of Science degree in Biology at the University of Pittsburgh at Johnstown and then went on to receive his Doctorate of Dental Medicine from the University of Pittsburgh in Pittsburgh, PA. While at the University of Pittsburgh, Dr. Shirk earned the Quintessence Award for Clinical Academic Achievement in Restorative Dentistry in recognition of his mastery in direct restorations. In a never ending pursuit of improving his clinical skills and knowledge, Dr. Shirk has participated in Continuing Dental Education courses focusing on dental implant placement, surgical extractions and bone grafting, endodontics, aesthetic smile design, and Invisalign, as well as many others in leadership and communication. Dr. Shirk is an active member in the Academy of General Dentistry and the American Dental Association. Dr. Shirk’s mission is to provide high quality, comprehensive dental care by focusing on each patient’s long term oral and overall health. He is also focused on reducing the stress and fear associated with dentistry by creating a friendly patient doctor relationship built on trust and understanding that everyone should be treated with the same respect and empathy that he would provide to his own family. In his free time, Dr. Shirk is very active in recreational sports such as softball, kickball, racquetball and weight lifting. He also greatly enjoys traveling, hiking, mountain biking, riding motorcycles, carpentry, and water sports.